Happy Monday! I'm so excited to share this little sneak of engagement photos with you that we took literally 24 hours ago in Grand Rapids. Alyssa Mc Elheny is officially my hero. Thought it would be fun to share my favorite black and whites. Check out her blog for the rest. Enjoy! Kalin was one of my brides that was an instant bestie. I remember our first coffee date at Morsels and feeling like I had known her for a lifetime. 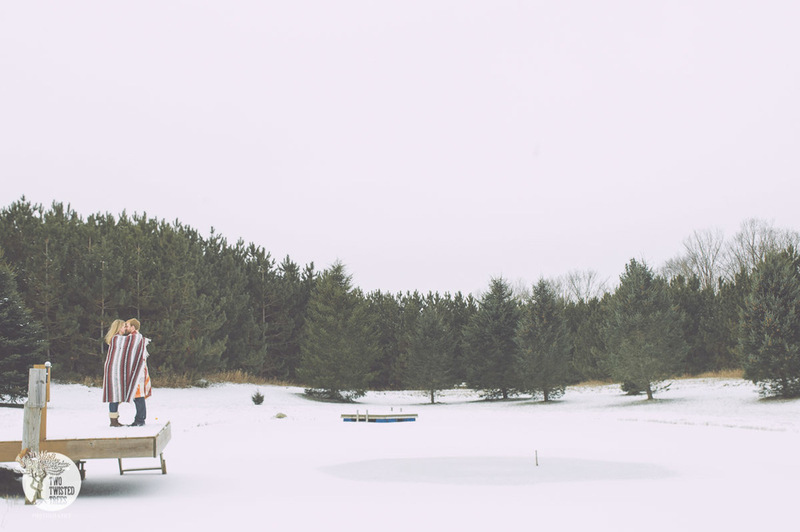 Kalin and Matt live in a sweet farmhouse and wanted their engagement photos to show the natural beauty of the area, even in winter! These two are so special to me. Be on the lookout for their amazing wedding this summer on Walloon Lake! A big hug to Tom from Two Twisted Trees for allowing me to share his amazing work. Can't wait to work alongside you in August, Tom! Oh boy you guys! This weekend is about to be a bundle of fun. These two are getting married! Do you remember their inspiration board? Pure magic. I'm mean seriously. These two should go into modeling, look at those smiles. I cannot wait to see these two tie the knot. I've got a handful this weekend with hundreds of roses to arrange, a pavilion to chic-out and a 6 week old as an assistant. Wish me luck! For updates along the way... follow me on Instagram! You two lovebirds... I cannot even begin to explain how much I have loved working with you both leading up to your wedding day. Your energy and passion make you the perfect client. Tomorrow you will stand together as husband and wife in front of your closest family and friends. It will be the perfect day. Thank you for giving me the opportunity to be a part of it. are? S & R are great models, you can't even tell how chilly it was that day! This bottom photo is one of my favorites from the whole set. The area they chose for photos is so representative of their journey to marriage as a couple. 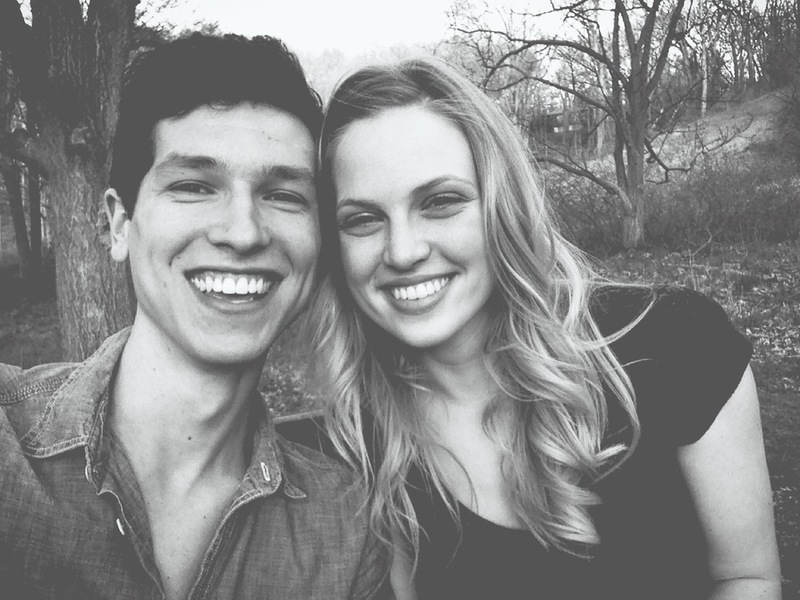 They met at North Bar beach, introduced by mutual friends and have been insperable since. The rest is history! Seth proposed in January at this very spot on Old Mission Peninsula and they decided to return for some photos there. To top it all off, we decided on a watercolor theme for their wedding day celebration. Each table will be designated as a body of water in Northern Michigan. The bride and I hand painted everything you'll see later on... This event is going to be jam-packed with details and I can't wait to share them with you all! I I have a full heart as I head to to set-up and rehearsal. This will also be my very first full service floral design client! It's been non-stop pretty this week. Follow me on instagram for more sneak-peeks of this loveable couple.